Imagine with me, your BOLDEST dream come to life. How would your life look? Those you love? Those you don’t even know? We know that our dreams feed our futures when they're based on God's promises. We believe that our dreams are the expressions of our hearts desires. Psalm 37: 3-4 teaches us to submit these desires and dreams to the Lord and watch, with delight, as he works in our desires and our lives. Are you living in a way that your desires match the desires of God? Do the dreams you have reflect his love, power, and goodness? -We imagine a world where all of God’s children would have the resources and the food their bodies need! -We claim God’s goodness over our children and community! -We are working to be God’s hands and feet in a spiritually and physically hungry world. -Donate to our school lunch program. We feed our children TWO hot meals per day to relieve the some of burden of meals from their parents and take action against this fierce hunger griping our friends! -PRAY for our community as they face their hungry season now. -We imagine a world where no child would suffer abuse, abandonment, or homelessness. -The Bible commands us to serve widows and orphans and we take this very seriously. In fact, Circle of Hope started as an orphan feeding program when we realized the hunger and need our community was experiencing. Then, we saw a need that was greater than a hot meal could address and we opened Timothy's Home then Patricia's Home. -Today, we have babies to teenagers in a loving environment and stable home because of YOUR partnership and God's vision and plan for these children. -PRAY that members of families and communities will step up and care for the hurting and helpless. -We imagine a world where our community has access to education and jobs. -We imagine a world where our children know they can dream of any career. -As a child, most Americans are told they can do any career they choose. It is time to give our Malawian children that same ability to dream and achieve! 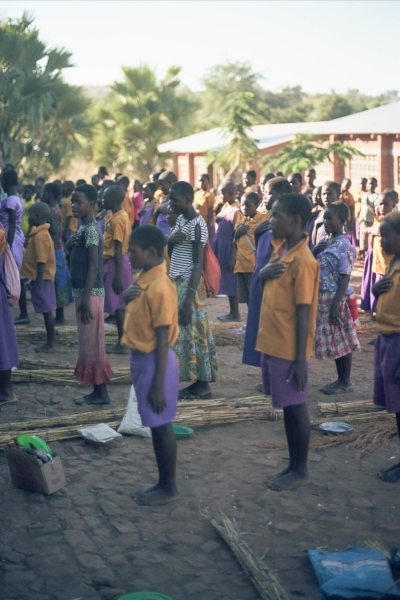 -Our schools are bringing affordable, quality education to our community in Malawi. Many of our students in our preschool and primary school would not have access to quality education or the realization that their dreams can be reality without the Grace Alliance Schools. -We have secured land for a university on our campus! God has given us a big dream and we are thrilled to see how he works and moves in and through it! -Donate to our schools! We are currently building eating and play areas, the next grade level’s classrooms, and more. Check out all that we are growing! -Purchase something from our textile center. We are thrilled that the textile center is on our campus providing jobs and generating income to make our ministry more sustainable. Get your Malawian goods now! -PRAY for our students and schools…we have a school prayer sign up sheet with many openings for you. We know and believe in the power of prayer over our schools and students. Pick your month now! NO woman should have to deliver her child without assistance, dignity, proper treatment, or respect. NO child should starve because their mother was not given information about how to breastfeed or had the opportunity to formula feed if nursing was not possible. NO person should die or suffer because a minor infected wound was not treated or cleaned properly. NO person should be ill because of preventable food borne illness. -We will NOT stand for a world where our friends are not able to have basic, quality care! -Praise Jesus, our clinic registration is underway and SOON we will be able to begin our Maternity Center and provide much needed services. -Donate to our maternity center! Our fundraising thermometer is going up! Join in on the fun! -PRAY for our clinic, our doctor, and CHE. Pray that we will see the needs of our community and know how to respond and have the resources to do so! What did our team and COH community members dream? WE ARE DARING TO IMAGINE! We dare to imagine something BOLD and BEAUTIFUL for our children! What dreams do you have for our children that you would like to see imagined? Posted on December 14, 2017 by Kaitlyn Miller.